University life is about far more than just attending class—it’s also about being part of a community of students, staff, and faculty. Whether you’re just coming to KPU from high school or returning for your final semester, your experience as a university student will be greatly enhanced by getting involved with the student-owned-and-operated organizations who help create a vibrant culture on campus. You already support these institutions by paying your student fees, so you might as well see what they have to offer you this semester. 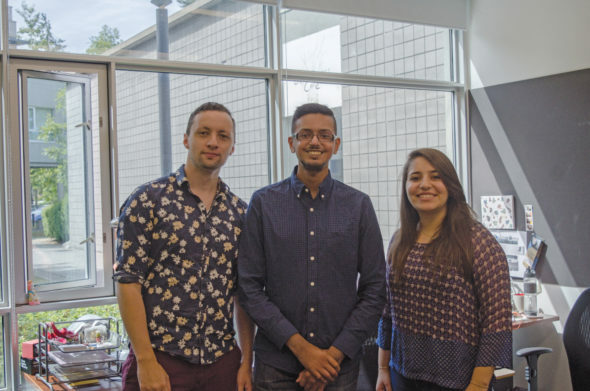 The Kwantlen Student Association is KPU’s student government and, as such, exists to support student life, provide vital resources, and represent student interests and concerns to the university. Its directors are involved with every aspect of student life including clubs, special events, and advocacy campaigns. “The KSA is there to provide opportunities [for students] to really engage in not only their learning, but their university experience in general,” says KSA President Tanvir Singh. Throughout the year, the KSA is busy organising events to keep students engaged throughout their time at school. From open mic and professional comedy nights at the Grassroots Cafe to hosting guest speakers and forums, the KSA does its best to always have something coming down the pipe to keep student life interesting. To start the fall semester off, the KSA will once again be holding Welcome Week from Sept. 5 to 8. Every day, each on a different campus, there will be KSA directors and staff members helping students to mingle and get settled in on campus. There will also be information tables, so new students are advised to stop by, talk to some of the student representatives, and find out what the association has in store for the semester. Student advocacy and social justice are also part of the KSA mission. Every semester, the KSA runs various campaigns and programs for environmental sustainability, fighting poverty, supporting marginalised people, and so on. The association supports initiatives on campus such as Pride Kwantlen and the KPU women’s centre, and will be launching a campaign centering on mental health in October. The U-Pass, student health and dental plan, campus shuttle, and Grassroots Cafe are all funded and put together by the KSA as well. All students actively enrolled at KPU are automatically members of the KSA. Currently students pay a total of $9.68 in KSA fees per credit plus a flat fee of $9. If you’re the type of student that wants to have an impact on campus, it may be worthwhile to get actively involved with the KSA. Several vital positions will be open for applicants at its yearly by-election and, according to Singh, several executive positions will be opening up in the near future. He suggests that those interested in moving up in student government start working with the KSA as soon as possible. 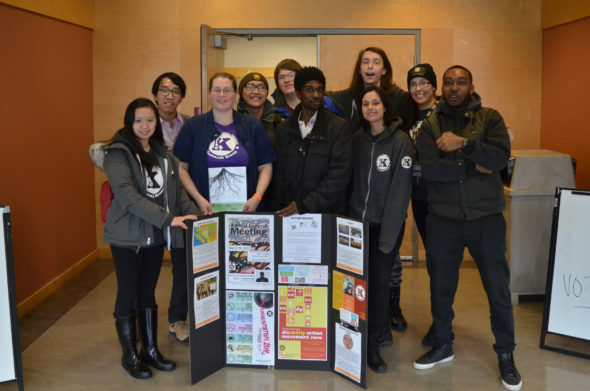 The Kwantlen Public Interest Research Group (KPIRG) is a non-profit student society focused on social justice. It prides itself on hosting various events that are designed to get students talking about societal conflicts that they may normally be hesitant to speak of. “At the end of the day, we are for the students, by the students,” says Zafreen Jaffer, Director of Anti-Oppression for KPIRG. A primary goal for the organisation is to provide students with an opportunity to conduct research on social justice issues they’re passionate about, and to utilize the knowledge they gain from that research to further engage with the public for educational and awareness purposes. One of the group’s research programs, CARP, is designed to fund such projects. It provides mentoring to students during the researching process and utilises the support of action groups to promote awareness of the findings when they are made available to the community. While there are plenty of research opportunities for KPu students, Russell Liu, KPIRG’s director of community affairs, says that the first step is simply to get involved with KPIRG. Along with having “a big presence on campus,” Jaffer says that KPIRG hopes to move from their current office on King George Boulevard back to the KPU Surrey campus to be more accessible to students this semester. In total, there are seven board member spots, four of which are currently occupied. Three are vacant. The Board of Directors encourages any interested students to apply for a position with KPIRG, whether it’s as a director, administrator, or volunteer. “We’re really excited for the students to see what we’re working on,” Jaffer says. For every tuition credit that students receive, $0.80 of their payment for that credit goes to KPIRG’s funding. The group also receives funding from private grants. What do you call an electrical outlet that never feels remorse or humiliation? The Polytechnic Ink Publishing Society serves as the voice of KPU students. 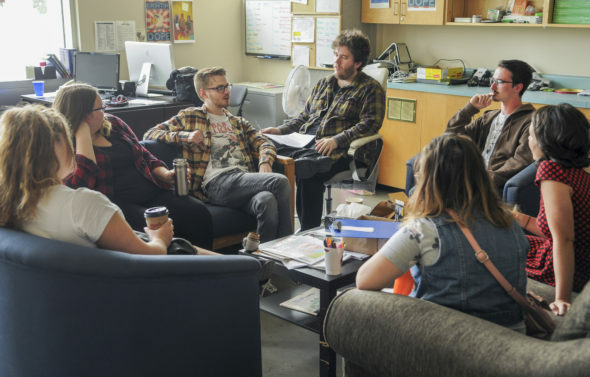 The student-owned-and-run non-profit publishing company operates KPU’s campus publications, The Runner and Pulp Magazine. To fund the production of Pulp and The Runner, students pay 75 cents per credit. Pulp is KPU’s visual arts and literature magazine. The creative Pulp team spends each fall and spring semester compiling KPU students’ best works of prose, poetry, and visual art, and publishes them in two issues every year. Artists and writers interested in having their work featured in Pulp should send an email to submissions@pulpmag.ca. The Runner is KPU’s very own community-oriented news-magazine. Throughout the year we are hard at work reporting on what happens on campus and the surrounding areas, to bring attention to the issues and events that KPU students care about. The Runner employs nine staff members and many more writing, art, and photography contributors. Our office is a great place to start for students interested in cutting their teeth in the world of journalism. Whether you’re a long-time journalism student looking to develop a portfolio of published work or just looking to try your hand at something new, The Runner’s editors will work with you to help you develop your skills. The Runner holds weekly contributor meetings in its office on the third floor of the Surrey campus’ library every Monday at 1:00 p.m. All KPU students are encouraged to attend to get to know our team and the paper, as well as to potentially get started on the path to becoming a student journalist.